Hello! Welcome to my blog! I am a stay-at-home mother and aspiring writer. This blog is about our life as a military family, lots of emphasis on family. We strive to find normalcy and routine as we move every 1-3 years. I've struggled in my role as a military spouse, longing for past duty stations and trying to make friends with more (and more) kids. I've felt guilty for putting my dreams on hold, guilty for moving our kids so much, and guilty for resenting the Navy at times. But somehow, we have managed to (occasionally) find that balance of military life-- because the military always comes first-- and family life. We have made each duty station feel like "home" (some more than others) and we have plugged our children in to every new community we have moved to. 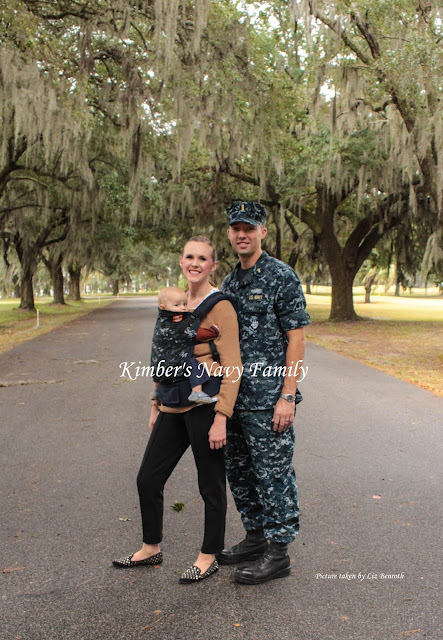 The military life is sometimes messy, sometimes sad, sometimes glamorous, and sometimes lonely or overwhelming, but through every trial we have faced, we have put love first. I stay at home with our 5 children. We have 4 boys, including a set of identical twins, with our youngest child being a girl. I've had two miscarriages and 3 D&C's. My first pregnancy ended in a surprise miscarriage late in the first trimester. My fourth pregnancy-- and second multiples pregnancy-- ended in a miscarriage and partial molar pregnancy early in the first trimester. I hemorrhaged 2 weeks post-partum after my last delivery from retained placenta and required an emergency D&C. 7 months after baby #5 was born, I had my post-partum complications fixed which included a hysterectomy and so we are officially done having children. We knew baby #5 would be our last pregnancy as I had the complications after the birth of baby #4. Home is relative for our children. Our oldest was born in New Hampshire. Our twins were born in North Carolina. Our youngest son was born in South Carolina and our daughter was born in Washington. My husband is a career Naval officer on submarines. He spent 9 years enlisted and was commissioned as an officer after completing the Seaman to Admiral program (STA-21). So far we have been stationed in New Hampshire, Hawaii, North Carolina, South Carolina, 6 months in Connecticut for Submarine Officer's Basic Course, and Washington state. I am from California; my husband is from Alabama and we met in Hawaii. 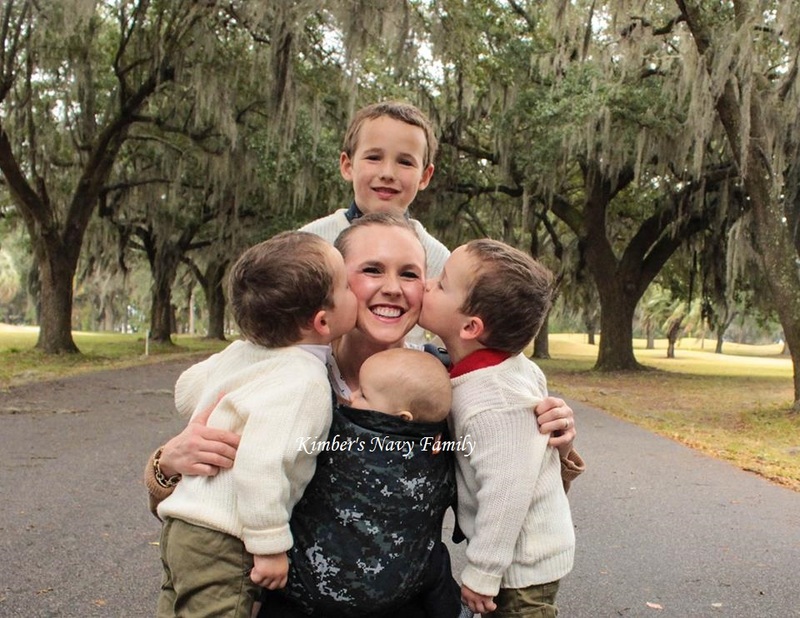 As we navigate life as a career Navy family, we have learned the importance of communication, good friends, and a strong sense of family. No matter what happens in this unpredictable life, I keep in mind Philippians 2: 18b-19, "Yes, and I will continue to rejoice, for I know that through your prayers and the help given by the Spirit of Jesus Christ, what has happened to me will turn out for my deliverance." With such a young family, my life is currently focused on the happenings inside my home. Because of my husband's unpredictable schedule, I have put my degree on hold for the time being, though I write whenever I have a chance. I am a grandmother of 4 plus another on the way. I was a Navy dependent with my Dad going from seaman to LCDR during his career. My Mom was a stay at home Mom with me and my 3 siblings. I really enjoyed your blog. It gives me fond memories and I certainly support your dedication. My Mom received a plaque when my Dad retired that thanked her for her dedication as a Navy wife and Mother. It was one of my Mom's prized possession. My son is currently in the STA 21 program. My daughter likes your blog, too. Thank you for sharing! All the best to your son with his career! As I'm sure you read on my blog, my hubby is STA-21 as well. Thank you for stopping by my blog.